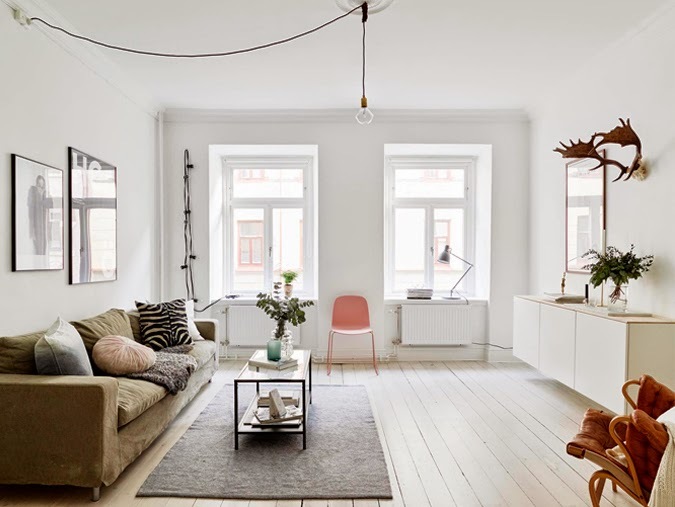 This quite minimalist apartment lying on just 49 square meters have a really nice tranquil and calm atmosphere. 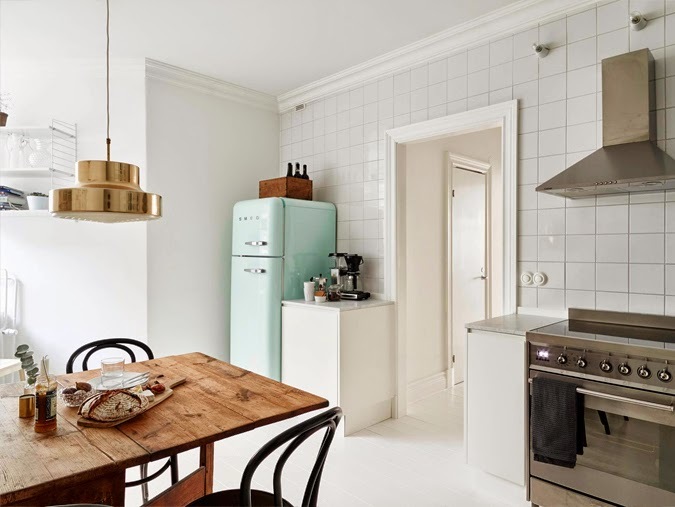 It is including mostly the white and natural wood tones but in some rooms like in the kitchen or living room there is one pastel coloured design piece to create a refreshing change in this scheme. 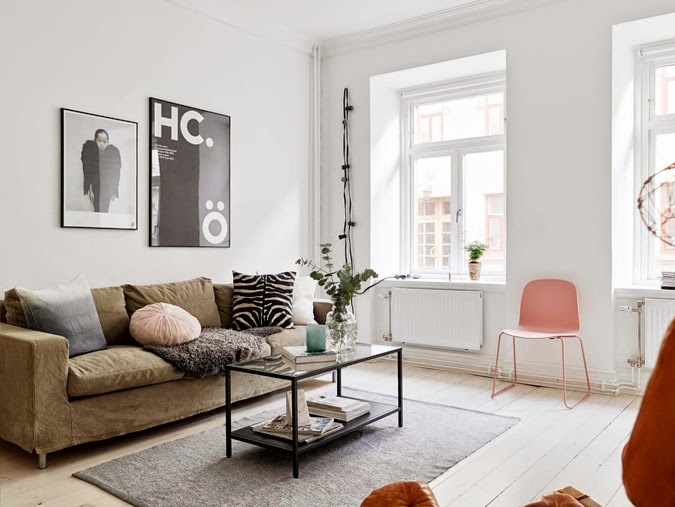 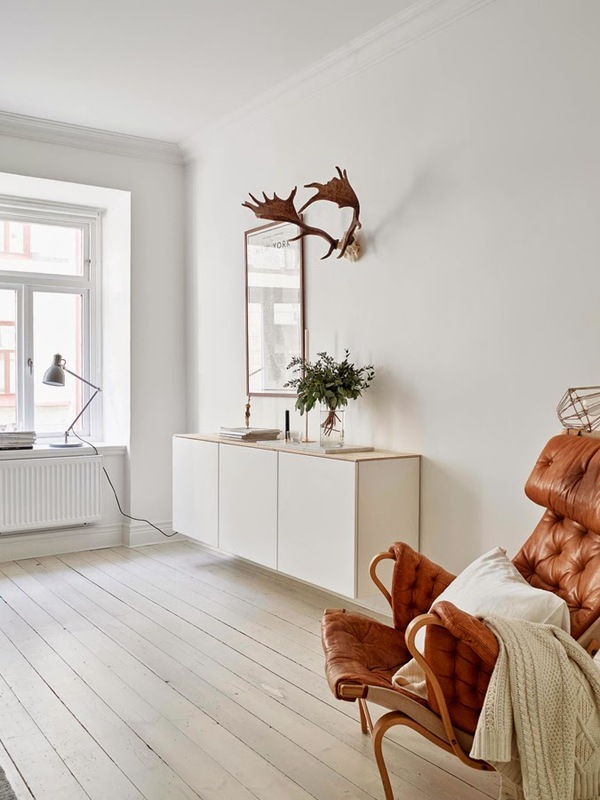 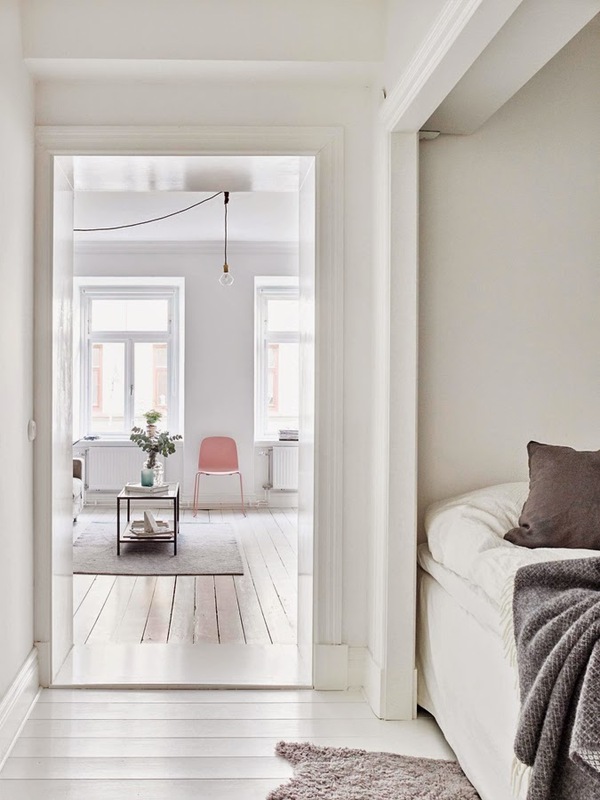 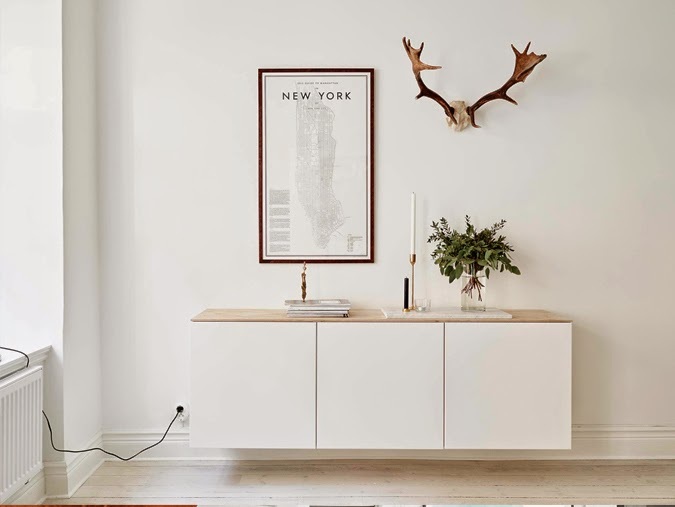 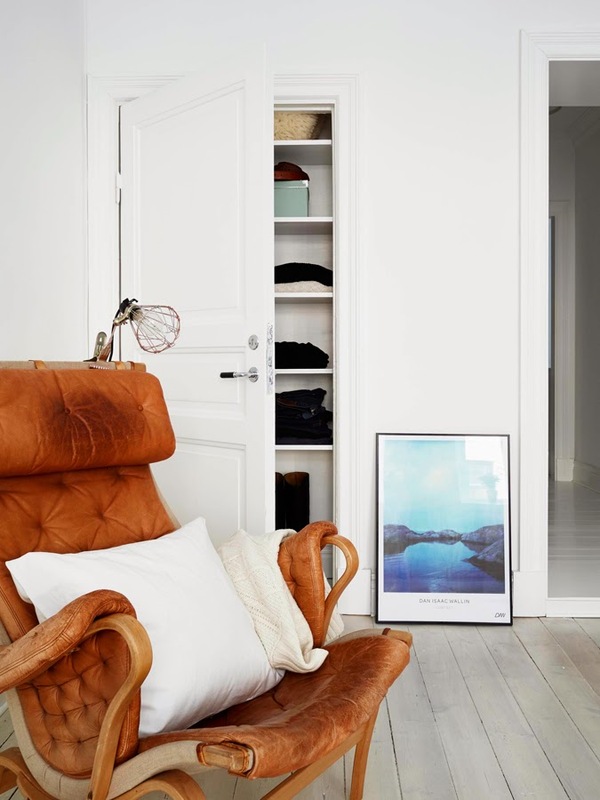 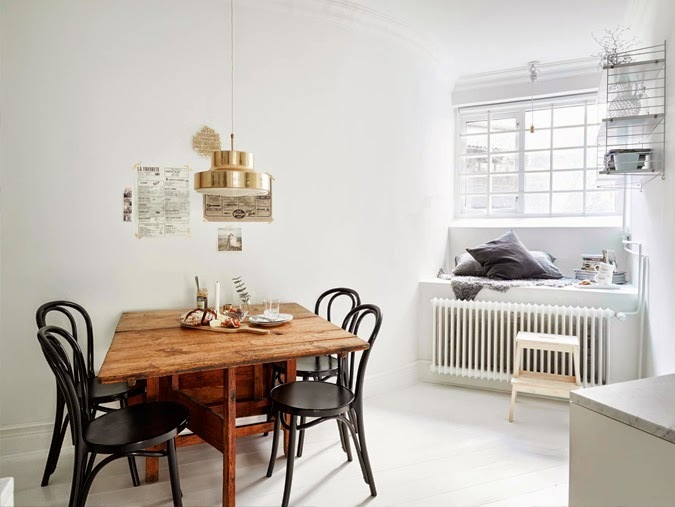 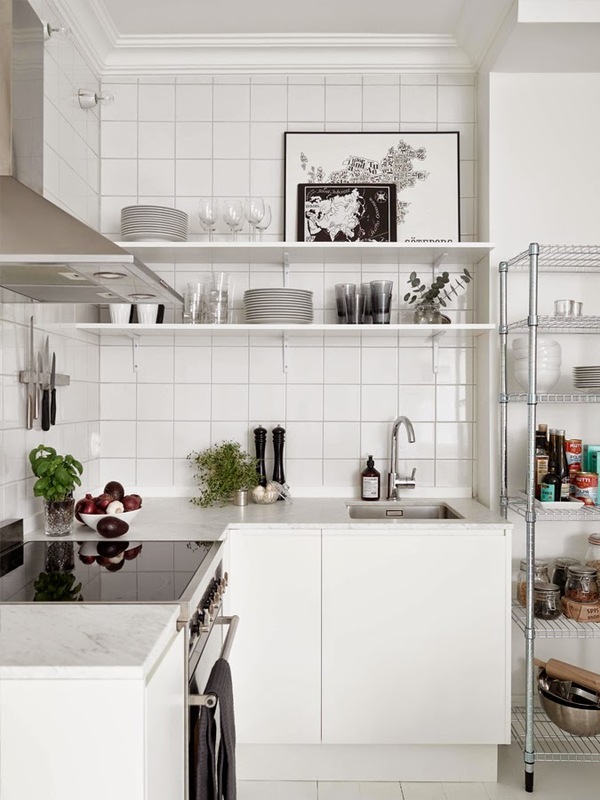 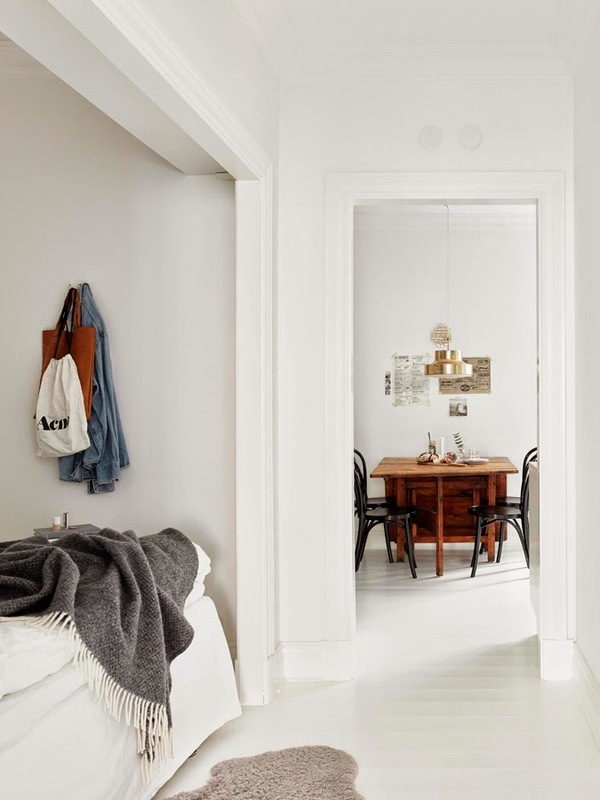 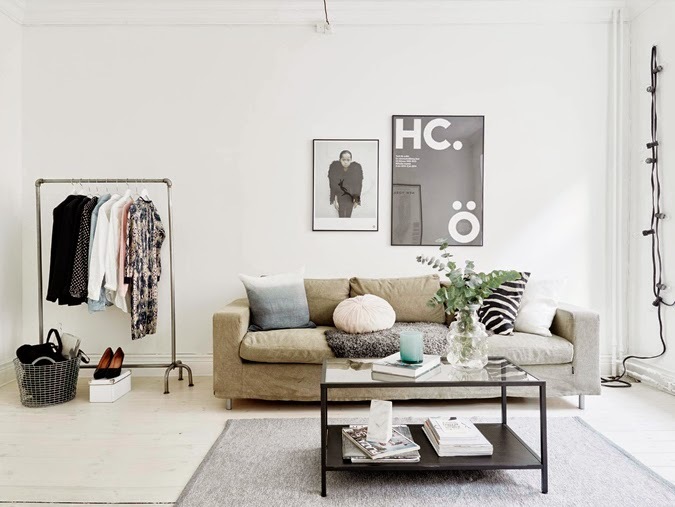 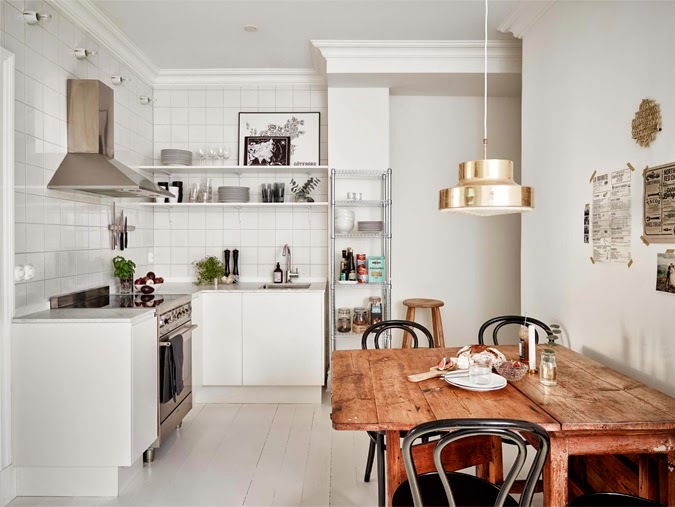 Another cute small Scandinavian apartment, what do you think?